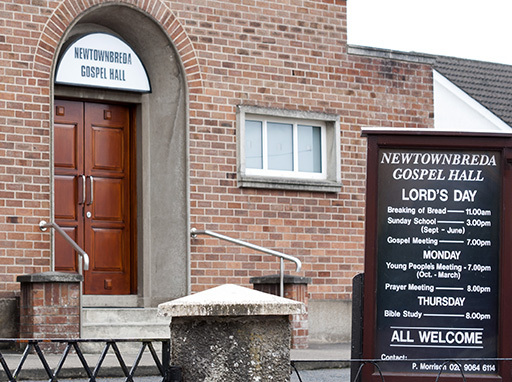 Welcome to the website of Newtownbreda Gospel Hall in Newtownbreda village, Belfast. We are glad that you have found us online. 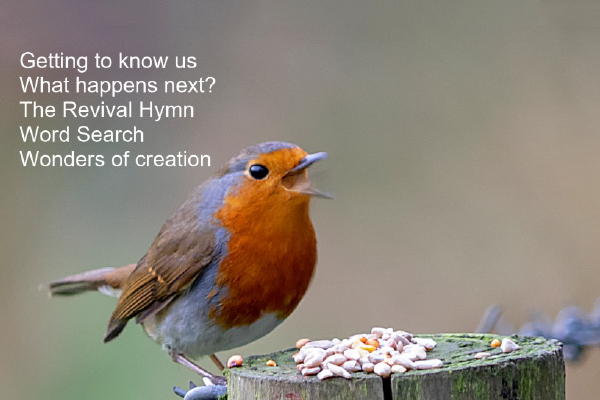 If you have any queries or would like to know more, please feel free to contact us. We are a group of Christians who believe the Bible to be the inspired word of God and we use it as the basis of all our beliefs. We hold a number of meetings each week as indicated below and everyone is welcome to come along and observe. We are pleased to announce the latest edition of our Assembly magazine. You may get a printed copy delivered to your home or you can read it online or download it by clicking the image above. We hope you enjoy it. 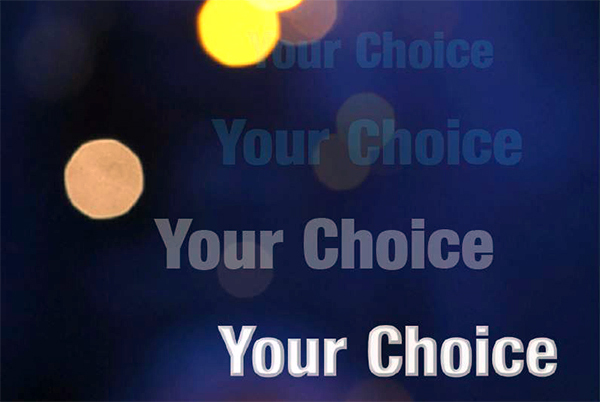 A number of years ago in May 2007 we produced a booklet called “Your Choice”. Although its main author Graeme Hutchinson has been called home to Heaven yet the truths he wrote live on and are as fresh and relevant today as they were then. 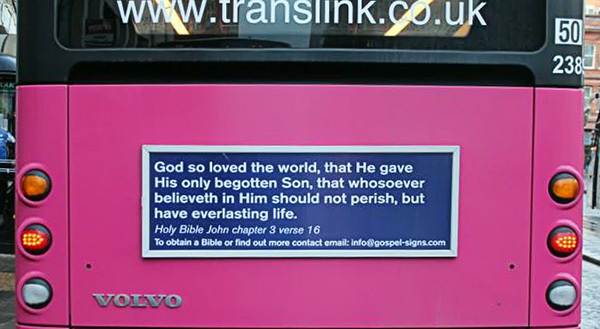 404 display sites have been purchased to display God’s Word on Belfast’s public transport buses. They will be posted in a planned manner throughout the year both inside and outside the buses.